1VP High-quality protein whey isolate powder isn’t just for those who spend time in the gym. A healthy intake of clean protein is vital for our internal well-being. The balanced lifestyle whey isolate contains all 9 essential amino acids and is one of the fastest-absorbing and best-tasting clean proteins on the market. We use all-natural ingredients with NO artificial flavors or sweeteners. 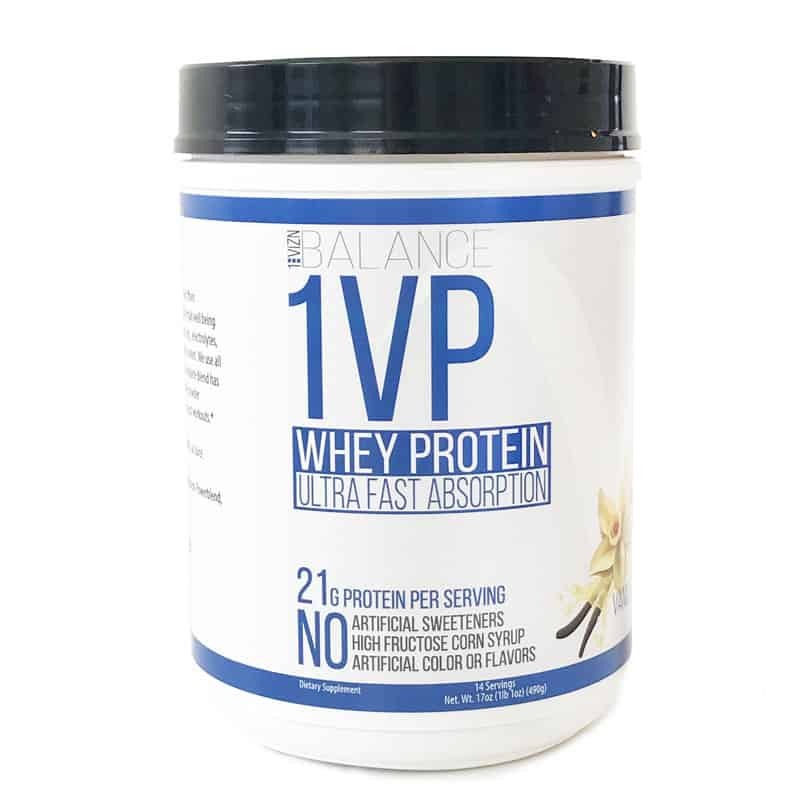 1VP has high biological value and is great for pre or post workouts. It mixes easily with no clumps in Water, Milk, Almond Milk, Soy Milk, or Juice. 1VP tastes amazing on its own, but when mixed with the 1ViZN Amazon PowerBlend, The combination is incredible! To Use: Mix two scoops with water or milk. 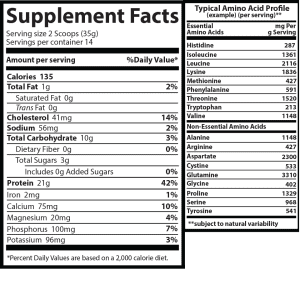 Ingredients: Whey protein isolate, whey concentrate, natural flavors, glucose, stevia, sea salt.